CAMP HILL, PA—Noting that the revamped tool was not scheduled to be unveiled for another six months, Ames executives were reportedly scrambling Thursday after designs for the new Ames 9443 Snow Shovel were leaked to the public. 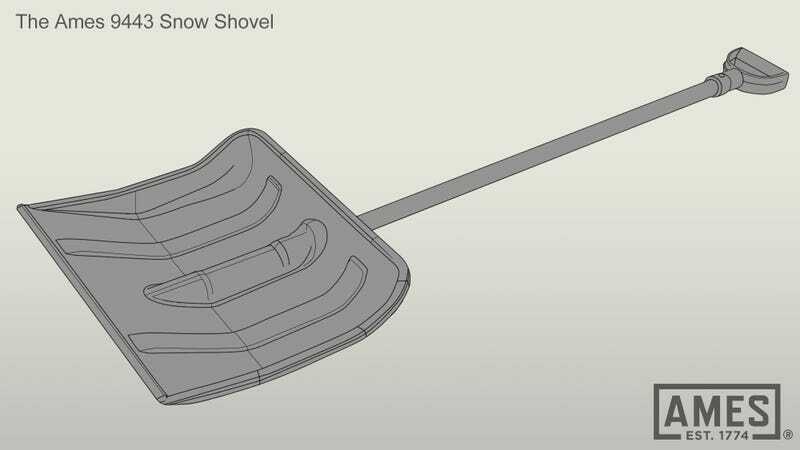 “The company is currently in the process of investigating how these top-secret designs were made available online and figuring out what this means for the highly anticipated product’s debut,” said Ames public relations representative Patrick Krewsky after an anonymous source posted schematics for the new digging utensil to the popular shovel blog “Shovelations.” “The Ames 9443 Snow Shovel is currently still in development, so I cannot confirm that the state-of-the art snow removal instrument will retain the five-foot-long length or the ergonomic D-grip handle shown in the leaked design when production is complete. However, Ames does promise that the device will be the most durable snow shovel of its kind and boast unmatched scooping capacity.” At press time, sources confirmed that Ames had delayed the launch of the 9443 Snow Shovel in order to address the strong backlash from shovel enthusiasts over the lack of difference between the Ames 9443 and its predecessor, the Ames 8380.